Samsung’s reworked tablet PC is not a copycat version of the iPad, a German court said. Samsung changed the design of its Galaxy Tab 10.1 for the German market — naming it Galaxy Tab 10.1N — to get around a sales ban imposed by a court in September. Apple challenged the new version but has failed to persuade the court. 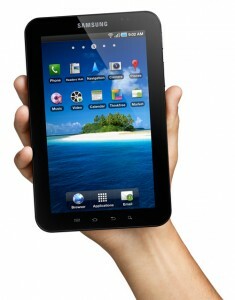 The state court in Duesseldorf said there were “clear differences” between the Galaxy Tab 10.1N and the iPad. In a global intellectual property battle, Apple has claimed the Galaxy line of mobile phones and tablets “slavishly” copied the iPhone and iPad and has sued the Korean company in the United States, Australia, Japan and Korea as well as in Europe.